‘Footicubs’ – The parent company with whom you are entering into contract. ‘Fees’ – Means the monetary cost of the session(s) as specified on the footicubs website. ‘Monthly Fee’ – A monthly payment by Direct Debit for the duration of membership which allows a Member to attend the specific group for which the Parent has signed up. ‘Parent’ – Any person with overall parental responsibility for the Member. ‘Carer’ – Person AGED 18+ YEARS with parental responsibility for the Member at the time of the session. ‘Member’ – Child who is enrolled and attends Sessions. ‘Coach’ – Person employed or licensed by Footicubs to be responsible for leading a Session. ‘Session(s)’ – 40 minute period during which Members are supervised by Coaches. ‘Stadium’ means the venue where the session(s) take place. The Monthly Sessions Fee is payable by Direct Debit on a monthly basis. The Monthly Session Fee charged is an ‘average’ fee based on the whole year and does not reflect the number of sessions in any particular month. . The Direct Debit payments must be kept up in order to maintain a Member’s place in the group. The Monthly Sessions Fee only permits the Member to attend the specific group for which the Parent has signed up. The parent must pay all fees up front before a member attends the session. The fee will be £24.99 per month whether the session is attended or not by the player. The fee is non-refundable except with the prior written agreement of footicubs. If classes are cancelled due to any of the following: poor weather conditions, strikes, acts of terrorism, due to health and safety reasons or other, then no refunds will be given. For the parent to cancel the session, a notice must be sent to footicubs 7 days prior to cancellation date via email. The Parent or Carer MUST remain on site for the duration of the session and is ultimately responsible for the Member’s behaviour, participation, and welfare (including ALL toilet or bathroom visits). The Parent agrees that other than in the event of negligence by a Coach(es), insurance against personal injury or loss/damage is the responsibility of the Parent. The Parent or Carer is also responsible for the behaviour, safety and well-being of other children in their care who are not Members of the session. Please note that Coaches are only responsible for Members whilst the Session is actually in progress. If the behaviour of a Member, Parent or Carer, or other child for whom the Parent or Carers is responsible is deemed unacceptable, Footicubs reserves the right to suspend or permanently exclude the Member from future sessions, with no refund of fees paid. In such situations, Footicubs will aim to discuss the situation with the Parent and seek a solution, before such action is taken. A copy of our Behavioural Policy for Members is available upon request. The Parent agrees that a Member, Parent or Carer will NOT ATTEND if either has a significant, infectious medical condition. Footicubs reserve the right to cancel/postpone a course before or during membership. A pro-rata refund will be given for sessions not completed, but Footicubs will have no other liability owing. The Parent/Carer agree not to establish, provide information regarding Footicubs to, or be employed by/volunteer for sports-based activities for early years children for 2 years after membership ceases. On agreement of these terms and conditions, footicubs reserves the right to use photographic devices during the session(s) and post on social media. The parent or carer can refuse to have their member excluded from having their photograph taken or any element of media recording by informing footicubs via email prior to their child beginning their first session. Footicubs take all reasonable care in ensuring that its programmes are safe. However, the Parent and/or Carer agrees that their child will be engaging in physical activities that may involve some risk of injury. The Parent and/or Carer acknowledges that they have been advised to consult with their child’s physician with respect to any past or present injury, illness, health problem or any other condition or medication that may affect their child’s participation in the Footicubs programmes. Footicubs and its employees accepts no responsibility under any circumstances for any loss, damage or expense of delay suffered or incurred by the parent, the player or any other party arising directly or indirectly or in any way connected with the attendance of the player at the sessions or the stadium (venue) or any other act or omission on the part of footicubs or any of its coaches employees or agents. Even if such act or omission is negligent. The parent agrees that any claim by the parent or the player against footicubs or any coach or employee of footicubs must be brought within 30 days of the event which gave rise to such claim. Any claim made thereafter should be time barred. All warranties and conditions whether implied by statue or otherwise are excluded from this contract providing that nothing in this contract shall restrict or exclude liability for death or personal injury caused by the negligence of footicubs , its coaches, servants or employees or affects the statutory rights of the parent or the player. 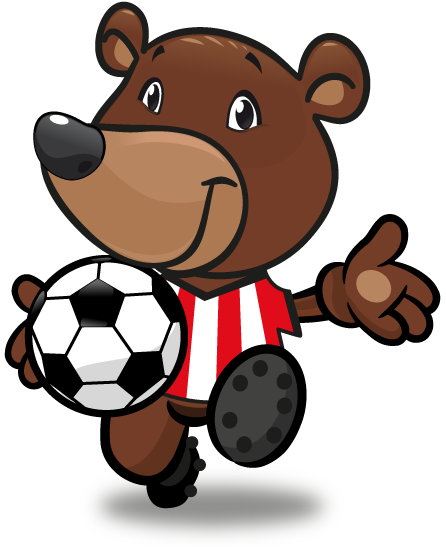 Upon joining footicubs the parent or carer may be asked for following member’s data: name, date of birth, medical condition, parent/carer’s name, email address, telephone number, address of residence. In the event of the parent/carer wanting this information to be deleted, they must contact footicubs directly in order to do so. Footicubs does not store any credit or debit care details on its website. In the absence of Consent, a legal obligation or other legal basis of processing, personal data should not generally be disclosed to third parties unrelated to Footicubs (e.g. members of the public, private property owners). 1. Where the legal basis of our processing is Consent, to withdraw that Consent at any time. 2. To ask for access to the personal data that we hold. 3. To prevent our use of the personal data for direct marketing purposes. 4. To object to our processing of personal data in limited circumstances. e. if the processing is unlawful. The Parent and or Carer agrees to keep the content of the Footicubs’ sessions and anything Footicubs related confidential and not to copy any aspect of the Footicubs’ sessions directly or indirectly. The Parent and or Carer agrees not to directly or indirectly manage, operate or assist in the organisation or any business that competes with Footicubs while the member is a member of Footicubs and for a period of 18 months after. Footicubs takes two weeks holidays in December during the Christmas period (22nd and 29th of December 2018) and one week at Easter (20th April 2019), this means that during these holidays there will be no Footicubs sessions. During the months of Footicubs’ holidays, the Parent and or Carer will continue to pay the monthly fee as it will even out from a monetary perspective throughout the year.